Commissioned by Tetsuya Goto from OOO Projects we created a permanent typographic installation for FLAG studio, a cultural platform in Enokojima Osaka, Japan. 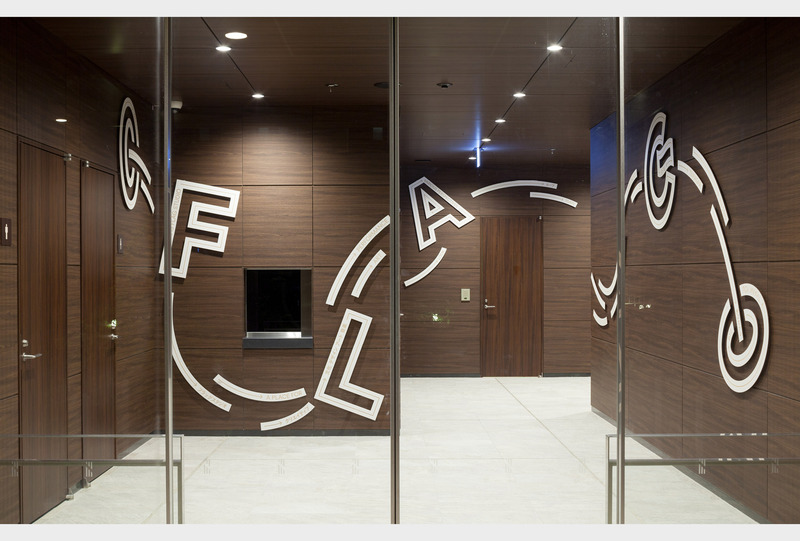 The design consist of an ongoing stream of shapes and typography visually moving in and out of the architecture’s walls. 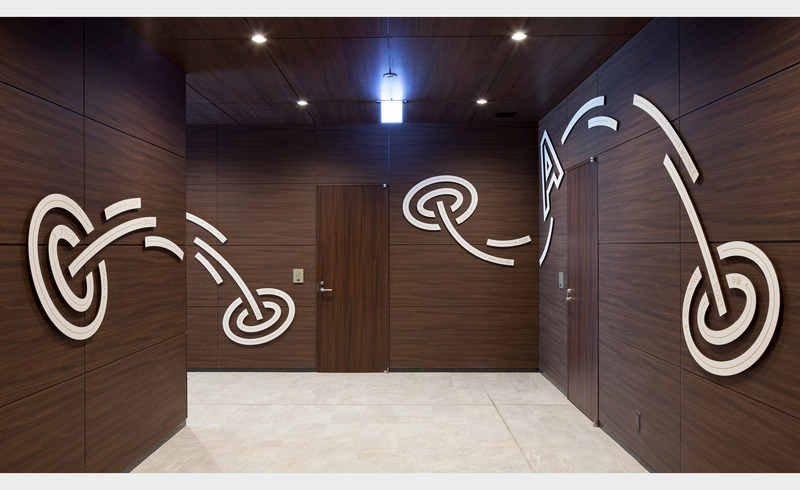 The installations works as a playful system that reveals diverse compositions from different viewpoints of the entry hall. 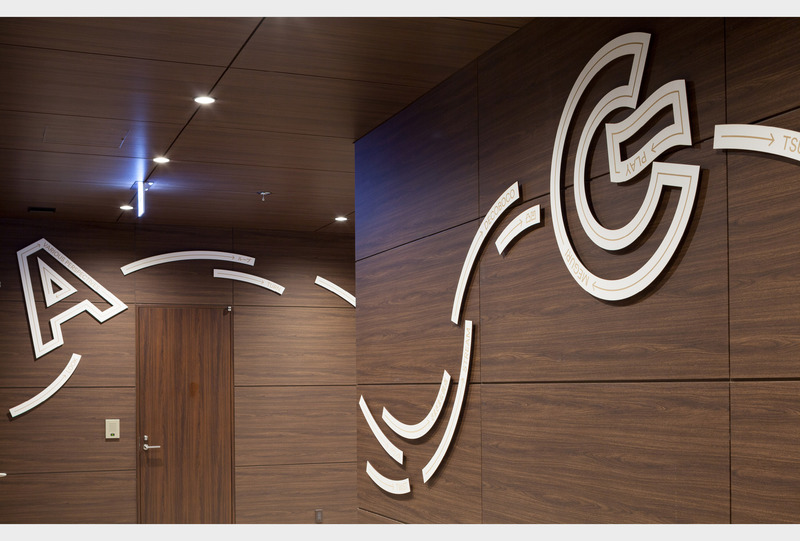 Every individual wooden piece is engraved with bilingual content referring to the platform’s general concept and collaborative approach to the area.